The DischargeKeeper is a completely new method for the continuous acquisition and storage of flow velocity profiles, water levels and flow rates in natural water streams, irrigation furrows and waste water channels. The DischargeKeeper consists of an IP-camera, an infrared beamer, and a measuring transducer with remote data transmission. The surface velocity profile is measured by means of an optical method called Surface Structure Image Velocimetry (SSIV) based on the cross correlation technique, for capturing the flow velocity. 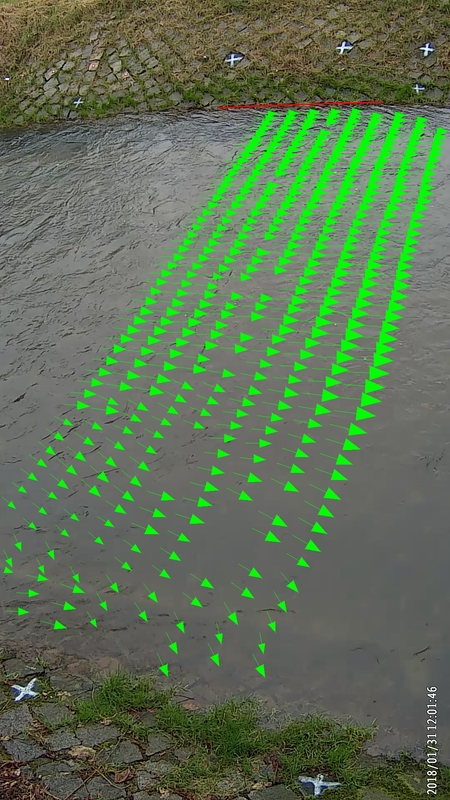 The water level detection is carried out simultaneously by an image processing technique. The vertical velocity profile is obtained employing a mixing length model. Subsequently, the discharge is calculated directly on site. 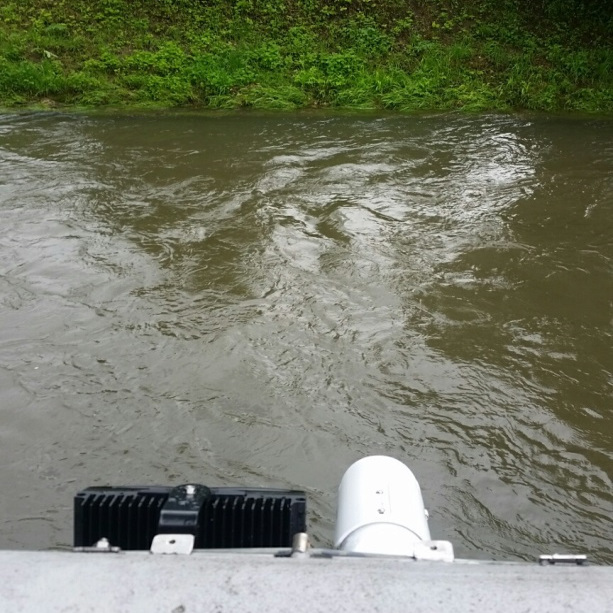 After a very short time the user receives the measurement results of the average flow velocity, the water level, and the discharge. In general, a measurement process takes only 40 seconds. In addition to the digitized measured values, proof images are stored and can be transmitted to a FTP server via GPRS. 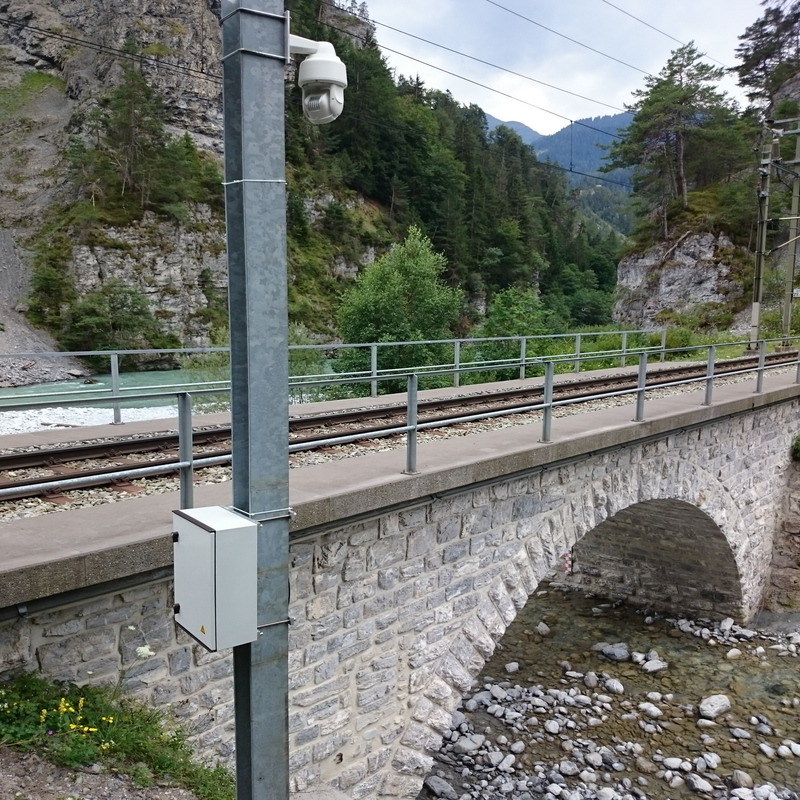 Simple and flexible installation: The weatherproof IP-camera and the sensor controlled infrared beamer can be mounted easily on e.g. 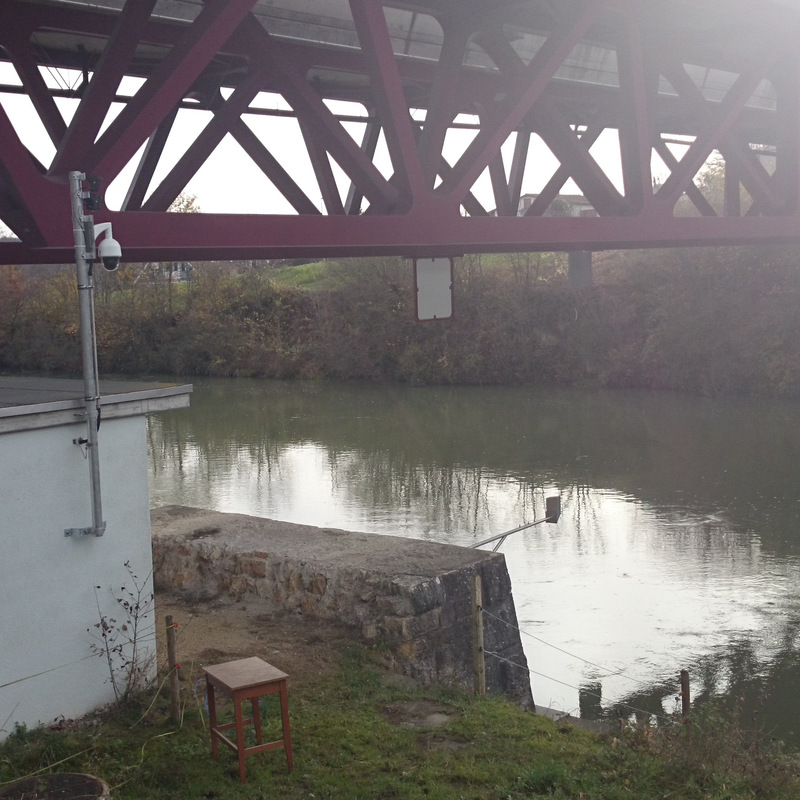 a water gauge station, a mast, concrete constructions or a bridge. The process unit can be housed in a water gauge station or in a protective case. Elaborate and expensive installations in the water are no longer required. No flow tracers required: A special feature of the developed measuring system is that no flow tracers need to be added for flow velocity detection. The DischargeKeeper operates on visible moving surface structures. Nevertheless, naturally occurring floating objects on the water surface (e.g. leaves) enhance the measurement signal. Representative measurement: Unlike other non-intrusive sensor types (such as radar), the DischargeKeeper delivers a flow rate measurement (profiling) on the entire surface of the image section. 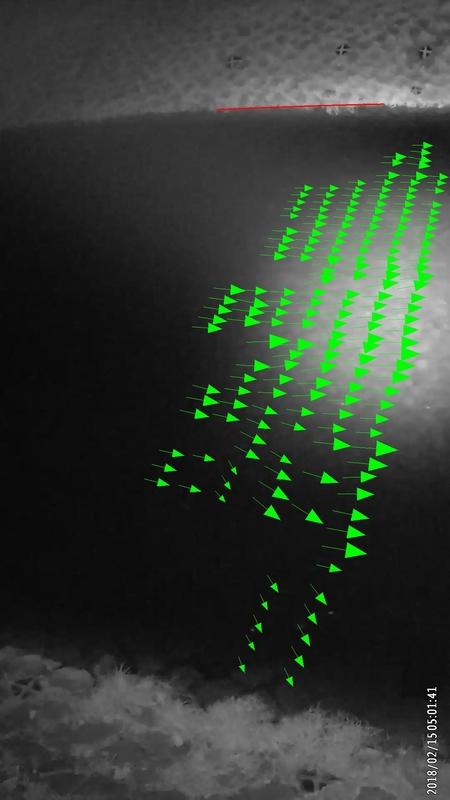 This provides a representative and spatially resolved flow velocity detection. Non-intrusive: The optical measuring system DischargeKeeper does not come into contact with the measured medium. A damage of the equipment as a result of siltation, vegetation growth etc. is excluded. Therefore the technology is practically maintenance-free. On-site evaluation: All DischargeKeeper measurement parameters (water level, velocity profile, and discharge) are collected and processed locally on the measuring site almost in real time. Smart: DischargeKeeper informs immediately by SMS and/or e -mail when critical system states (e.g. in case of low battery voltage or sensor drift) are reached or when definable thresholds are exceeded/fallen below. Autonomy: The	DischargeKeeper may be operated with a 12 V battery or a small solar panel. Robust, weather insensitive, precise: The DischargeKeeper can also be used under a wide variety of environmental, weather, and lighting conditions. More than just a sensor: The DischargeKeeper provides both, the required measurement values and proof images from the measuring site in HD quality. 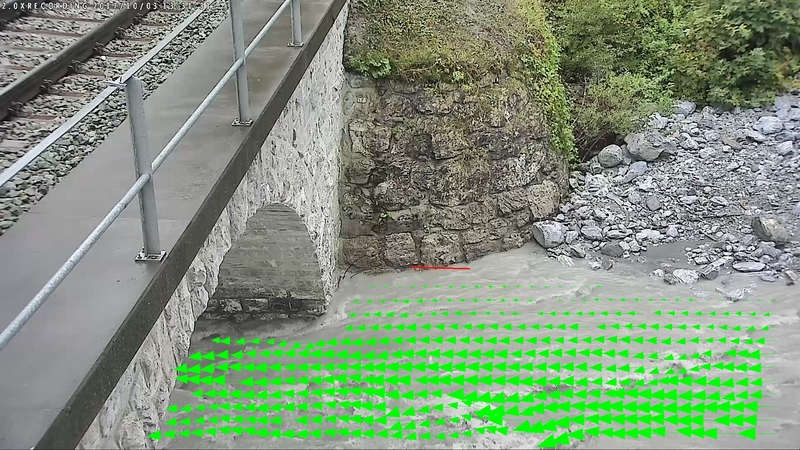 In case of doubt, the parameters,such as the water level, can be verified using the present image information. Time-consuming service missions to the measuring site can be reduced or even avoided. © photrack ag. All rights reserved. Design: TEMPLATED.